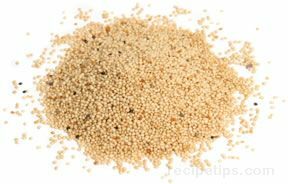 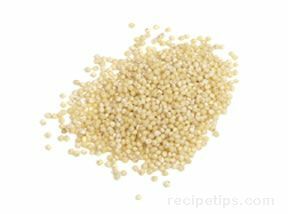 One of the most efficient and convenient methods for cooking grains is with the use of a microwave oven. 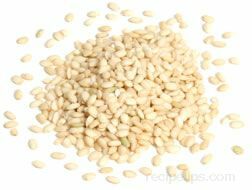 The overall results can be very good if the grain is properly cooked in the microwave. 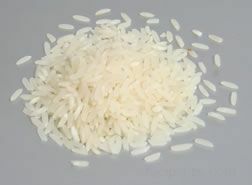 It is best to follow the manufacturer's instructions because of the differences in various models of microwave ovens. 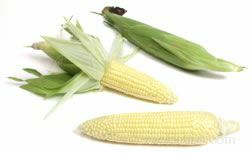 The size and wattage of the microwave oven can affect the cooking time significantly. 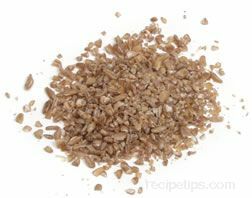 When oatmeal is used as a hot breakfast cereal, it is often cooked in a microwave oven for convenience and speed in preparation. 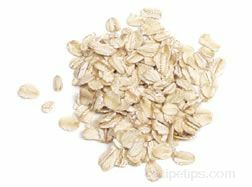 Pour 1 cup of water into a microwave safe dish, add a pinch of salt, and add ½ cup oatmeal (either old-fashioned rolled oats or quick oats). 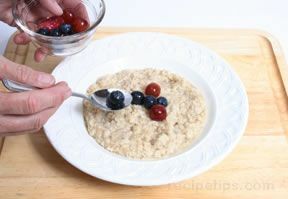 When using old-fashioned oats, cook in the microwave on high power for about 4 minutes. 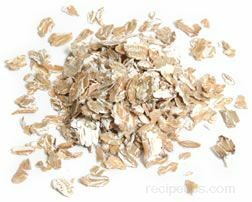 When using quick oats, cook on high power for about 2 minutes. 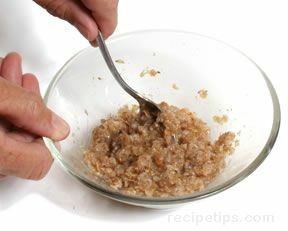 Stir the oatmeal once or twice during the cooking time. 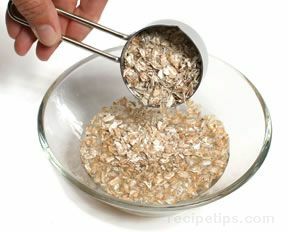 Stir the oatmeal prior to serving and top with other ingredients, such as milk, sugar, brown sugar, cinnamon, and/or fruit. 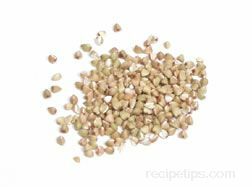 Note: Instant oatmeal requires only the addition of boiling water and does not require any cooking time in the microwave oven or stovetop. 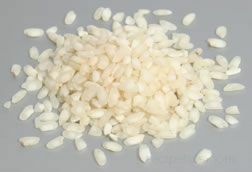 A microwave oven can be used for cooking rice when the use of a conventional stove or oven may not be practical or when added convenience is a necessity. 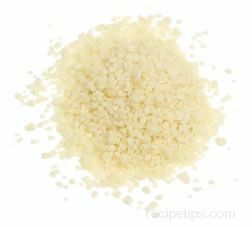 Cooking rice with the absorption method in a microwave oven works very well. 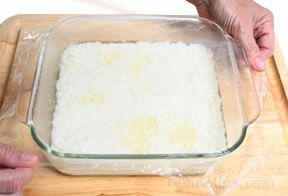 Using a 2-quart microwave-safe dish, pour in 2 cups of water and add 1 tablespoon oil or butter. 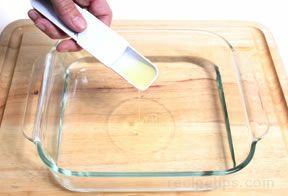 Heat the liquid on the highest power setting until boiling (5 to 10 minutes, depending on the size of the microwave). 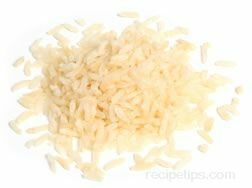 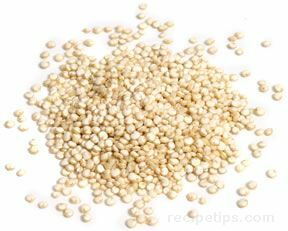 Add 1 cup of long-grain white rice and return to a boil (1 to 3 minutes). 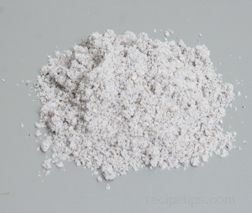 Reduce the power setting to 50% and heat for 12 to 15 minutes or until all the water has been absorbed. 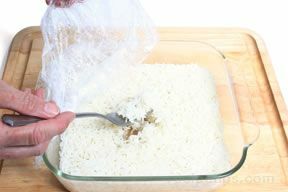 Fluff the rice with a fork, season, and serve. 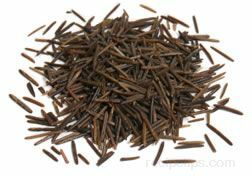 Rye flakes cook much faster than whole rye berries and can be used in a variety of dishes, such as soups and stews, or they can be sprinkled on top of rye bread before it is baked. 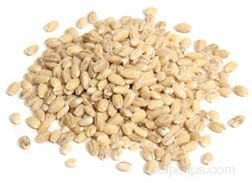 Rye flakes are made from whole rye grain, which has been heated and rolled in order to flatten the grain into a flake form. 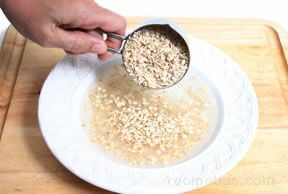 Cook the flakes on the stovetop or in the microwave to make a hot cereal. 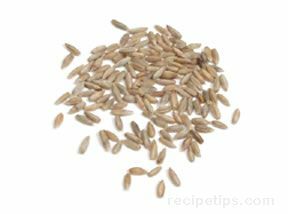 To cook rye flakes, simply add them to water and cook for 3 minutes (using a 2:1 ratio of water to rye flakes, such as 2 cups water to 1 cup rye flakes). 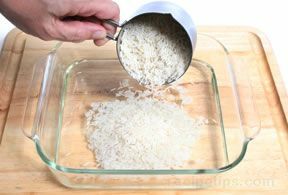 Stir the flakes once during the cooking time and again when the cooking is complete. 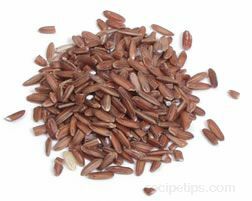 Serve the rye flakes as a hot cereal with sugar and milk or serve as a side dish seasoned with salt and pepper.